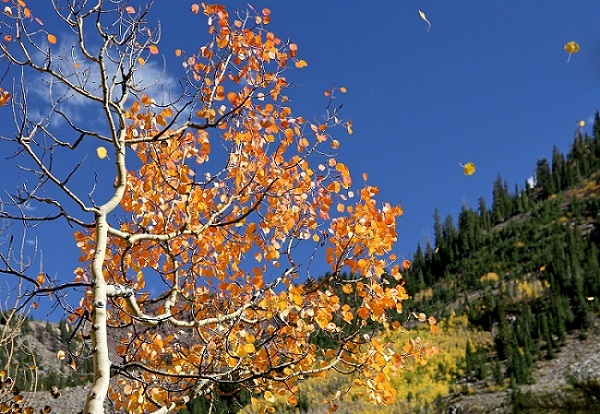 Join volunteer naturalists on an easy 1.5 mile hike to learn about aspen – the most widely distributed tree in North America. We’ll discuss the natural history of aspen, including its importance to wildlife, response to fire, and threats to its health. Wednesday October 5, 7-8:30 p.m.
Join volunteer naturalists to learn about birding through the seasons. Explore where to find and how to identify some of our local and migratory birds, and be introduced to a range of ecosystems and habitats. Friday October 7, 5:30-6:30 p.m.
Share coffee and dessert with the mining museum coordinator and discover the adventures and stories behind the building of mining roads and scenic byways in the area. Oh Deer, Elk and Moose! Join volunteer naturalists for a moderate three-mile hike in the high country to learn about the natural history, behavior, and ecology of mule deer, American elk, and moose. Sunday October 9, 9-11:00 a.m.
Visit an ancient beach in our backyard! Join geologist Sue Hirschfeld on an easy walk to see the fossils and unusual geologic features formed in this near-shore marine environment. Wear hiking shoes or boots. To register, email lcolbenson@bouldercounty.org or call 303-678-6214 by Thursday, October 6. Sunday October 9, 10:30 a.m.–12:30 p.m.
Join the Goats Galore 4-H club and their goats for a drop-in program all about goats. Why do people raise goats? Do goats really eat tin cans and tennis shoes? How do I get involved in 4-H with goats? Learn about raising goats, different breeds, housing and feed requirements, and see a live milking demonstration. Sunday October 9, 4-6 p.m. Experience cemeteries as gathering places. Learn about gravestones. What do the words and symbols say about people’s cultures and beliefs? We’ll conclude by visiting a cemetery; bring a sack dinner and put what you have learned to use. Registration is needed to arrange for parking. 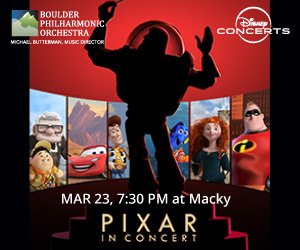 For more information, please email kmcdaniel@bouldercounty.org. As fall approaches, black bears are busy gorging on berries and other food to prepare for their winter sleep. Join volunteer naturalists on a moderate one-mile hike to learn about our local bruin and how people and bears can share our wild places. Saturday October 15, 11 a.m.-3 p.m.
Tuesday October 18, 6-7:30 p.m.
Owls have been regarded with fascination throughout history. Over half of the owls recorded in the U.S. have been seen in Boulder County. Join volunteer naturalists to explore these creatures and learn about the adaptations that make them such expert hunters. Create a fishing dream team for the Junior and Senior Fishing Derby. This special event is for pairs of one senior 64 or older and one junior 15 or older fishing together as a team. Prizes given to the team that catches the heaviest trout, has the largest age difference, and are first to catch the limit. Event takes place rain or shine! The pond is stocked with rainbow trout. Artificial and live bait are both permitted at Wally Toevs Pond. Seniors must have a valid Colorado fishing license. For more information contact Michelle Bowie at mbowie@bouldercounty.org or 303-678-6219. Join volunteer naturalists for an easy one-mile hike to learn about critters that call Betasso Preserve home, including a squirrel that lives only in ponderosa pine forests. We will also learn how these animals prepare for winter. Saturday October 22, 10 a.m.-1 p.m.
Watch blacksmiths forge new tools to be used at the Agricultural Heritage Center. Blacksmithing was a common trade that supported agriculture, mining, and construction in creating and repairing all things iron and steel. Stop by the for this drop-in program that is appropriate for all ages. 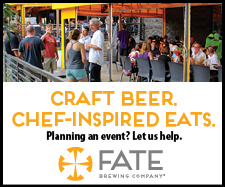 Saturday October 22, 4:30–6:30 p.m. Please join a sunset photography session at the Agricultural Heritage Center. Take advantage of the center staying open late so you can take some photos for the “2017 Land through the Lens Photography Exhibit.” Registration required. The geologic history of our landscape goes back over 1.7 billion years. Rocks contain a record of earth history that can be read like the pages in a book. Join geologist Sue Hirschfeld for this slide program and learn how to interpret the landscape that has developed over the last two billion years. 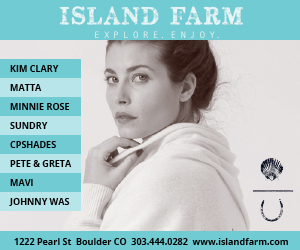 Come to the farm, enjoy the rural setting, and learn about the rich agricultural history of Boulder County. The farm includes two barns with interactive exhibits, a milk house, blacksmith shop, and a furnished 1909 farmhouse. Groups may make special arrangements for tours. 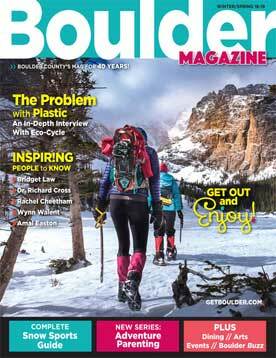 Contact Jim Drew at 303-776-8688 ordrew@bouldercounty.org for more information. Friday, Saturday, Sunday 10 a.m.- 4 p.m.